A vibrant personality, Maura helps to keep the moral of the People’s Dental staff uplifted by offering her coworkers and patients a kind smile and a helping hand. Maura works to answers the questions and meets the needs of our patients by relying on her natural desire to help. 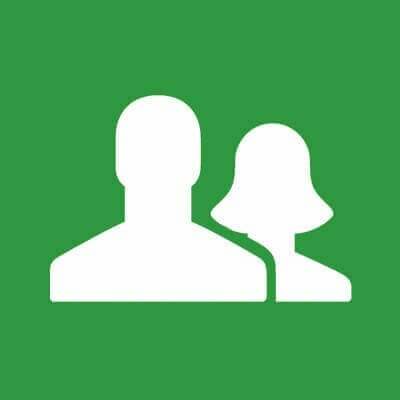 By empathizing with a patient’s needs and business schedule, Maura is able to set up dental appointments at times that are convenient for everyone. An invaluable teammate, Beatriz assists our team at People’s Dental in carrying out daily tasks with enthusiasm and positivity. Always kind and friendly with familiar and brand new patients, Beatriz is knowledgeable in the policies and protocols of our facility and helps processes to run smoothly and efficiently for everyone. Patients enjoy Beatriz's kind voice on the other end of the phone line and are reassured by her calm, collective personality. Experienced in the dental field, Karen is quick to ease concerns and clarify any questions our patients may have about coming or previous dental appointments. Karen is skilled in a vast variety of clerical tasks, and assists her coworkers and the People’s Dental team in carrying out the daily duties that keep the business running like a well-oiled machine. Karen is a valuable member of our team and we are grateful for her dedication to her profession. As an experienced dental assistant, Gail increases the overall productivity of our dental team by cheerfully assisting our dentists in caring for our patients. As an important part of the team, Gail works directly with our patients to obtain valuable medical information, learn more about their habits and oral health regimen, as well as take digital x-rays and reassure their comfort before, during, and following dental procedures. Our patients adore Gail’s smile and are grateful for her comforting nature. People’s Dental is proud of Gail’s commitment to improving our area patients’ overall health. Yuliya, a skilled dental assistant, offers a comprehensive list of skills and specialties within our People’s Dental facility. By assisting our dental team with daily tasks and our patients with concerns, questions, and comfort, Yuliya exhibits quality interpersonal skills. On any given day, one may find Yuliya comforting a patient during a procedure, chatting with coworkers, and offering important advice about how to maintain and improve oral health to each young patient that visits. People’s Dental is pleased with Yuliya’s performance and feels honored to have her as a member of our dental team. A hands-on teacher and friendly face, Jasmine enjoys working with patients to help them understand the importance of a great oral health regimen. Jasmine assists the People’s Dental team in caring out daily tasks that range from charting to taking x-rays, and is skilled in assisting our dentists with a vast range of dental procedures ranging from minor to advanced. By working as an uplifting teammate, Jasmine is able to help our team remain positive, focused, and happy. Jasmine is especially skilled in making sure our patients understand their options for obtaining a healthy, happy smile. People’s Dental is honored to work with Jasmine. Ever kind and gentle, Nyleah is an experienced dental assistant at People’s Dental in Springfield, MA. Our dental team looks forward to working with Nyleah as she is a go getter and an invaluable teammate. Nyleah works directly with patients to understand their lifestyle and medical background to ascertain how these factors may affect the current status of their oral health, and help them to understand how a good oral health routine may help them to improve the function and appeal of their smile. Patients enjoy visiting with Nyleah during their appointments and look forward to seeing her upon their return. As a People’s Dental team member, Randi provides warm and welcoming service to each and every patient. Having received her bachelor’s degree in environmental science, Randi continued her education at Springfield Technical Community College where she received her degree in Dental Hygiene. An experienced dental hygienist, Randi has been practicing for about 30 years now. 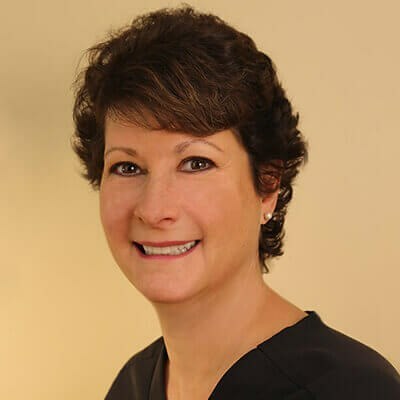 Randi is passionate about remaining educated with advancements in dentistry and technology in order to provide the highest quality preventive care to our Springfield, MA patients. In her spare time, Randi enjoys hiking with her dogs or cooking, as well as spending time with her husband and three daughters. 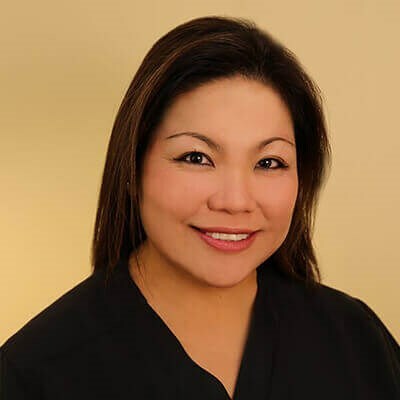 Originally from the Philippines where she was a trained dentist, Odessa Penaflor brings over 17 years of experience in the dental field into her position as a dental hygienist. Upon moving the United States, Odessa built up her resume as a dental assistant before entering hygiene school full time. Odessa graduated from Springfield Technical Community College with a degree in Dental Hygiene in 2014 and was the recipient of the “Golden Scaler” Award. It is important to Odessa that her patients feel comfortable and valued, and strives to offer them the highest quality of care. Her interests include traveling, spending time with her family (especially her twins), and discovering new and unfamiliar places to eat.